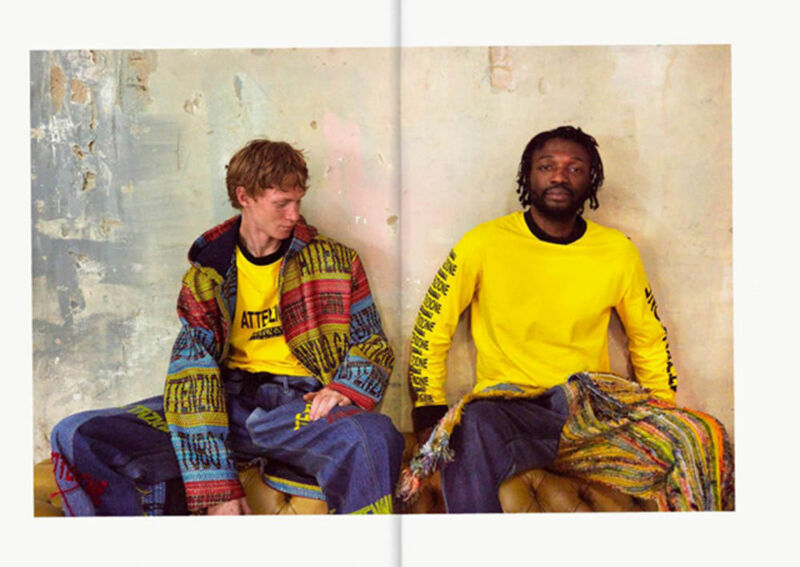 Potentially, it was an underlying subconscious desire rooted in years of repeatedly dreaming about being in the late 90s Levi’s Twist commercials. But realistically, because I was too short to be a goalkeeper and couldn’t count in time enough to be a guitarist. 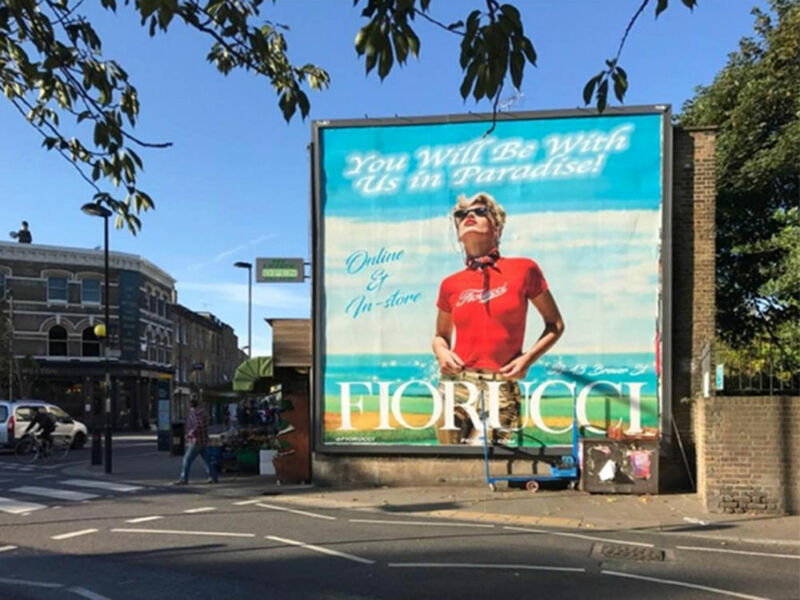 What have you been getting up to in your current role as Head of Creative at Fiorucci? Being busy. Good busy. Wild busy. 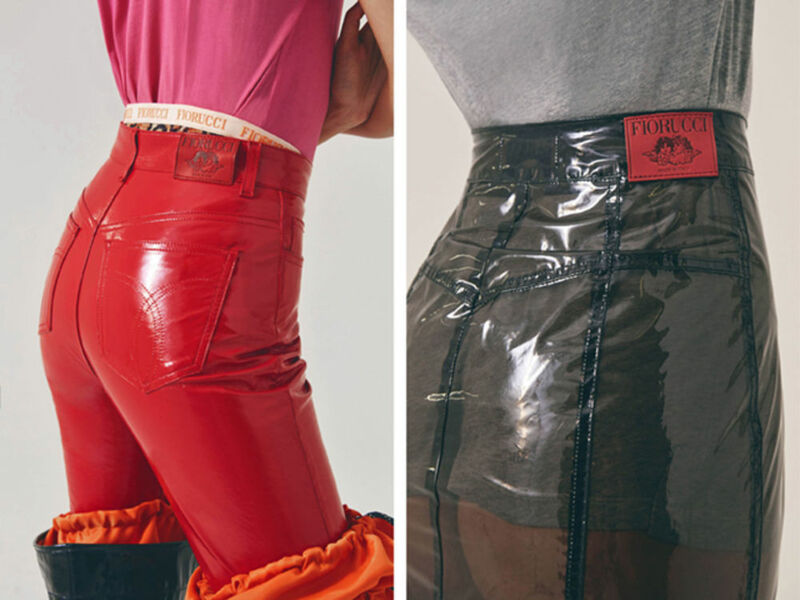 For anyone that doesn’t know, Fiorucci as a brand is 50 years old, but it’s been dormant for around 25 years. 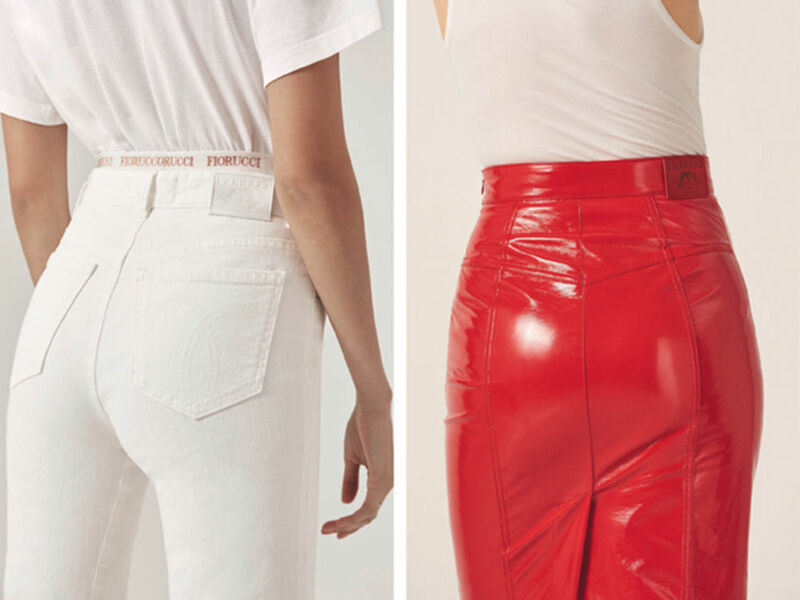 Fiorucci wasn’t just about the clothes, it was about the entire culture around the brand — Elio Fiorucci travelled the world for inspiration to bring to his retail stores, which set the blueprint for all modern day concept stores. The brand was also famous for its iconic graphics. Elio discovered and surrounded himself with a huge amount of talent: Terry Jones, Antonio Lopez, Madonna, Andy Warhol and Keith Haring to name a few. The brand means a lot to a lot of people, and with that comes the pressure to deliver. Over the past few months we’ve re-launched the brand. During London Fashion Week, we opened the doors to a two-storey flagship in Soho, London and hosted a launch party directed by Theo Adams. 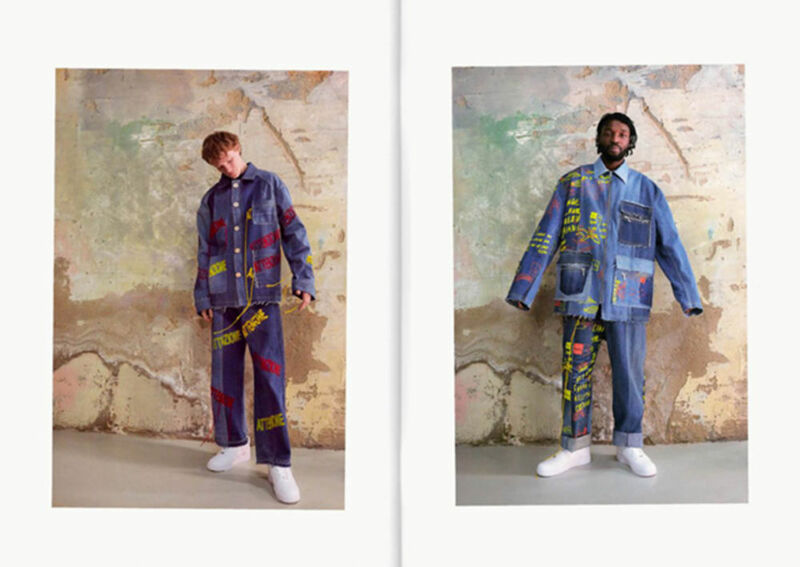 Since then we’ve shot campaigns in rural England, launched a pop-up in the brand’s native Milan and hosted showrooms in New York and Paris. 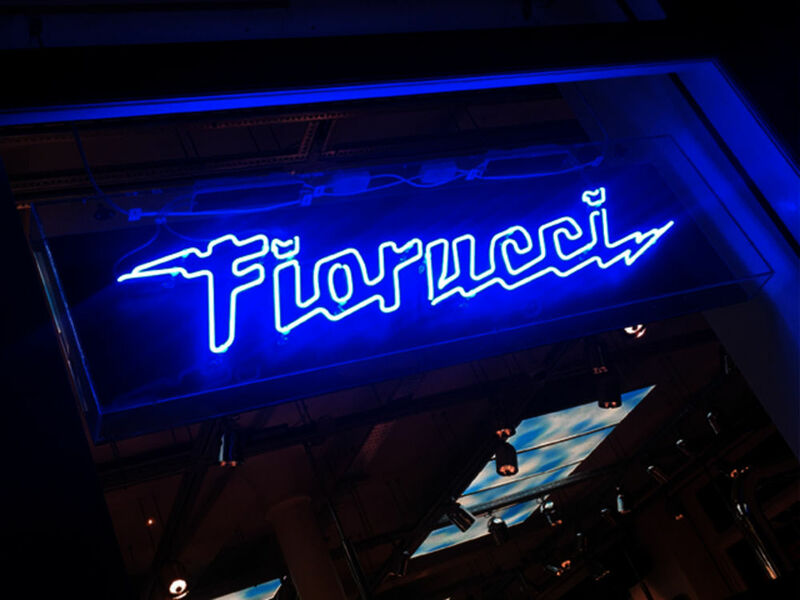 Alongside all of the outward facing projects we’re constantly developing the each and every aspect of the brand identities within Fiorucci. 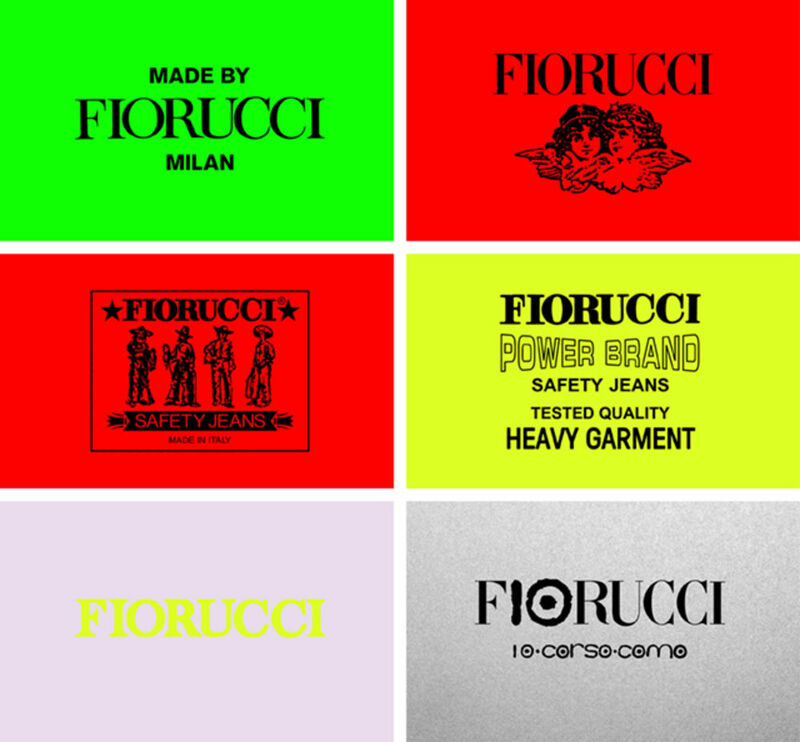 Fiorucci was not and will never be one logo. If you step into the store you will see dozens of different logos, but they are all strategically delivered across the brands subsections — a logo for women’s denim, a logo for men’s denim, a logo for swim, a logo for jersey and a logo for footwear, you get the idea. 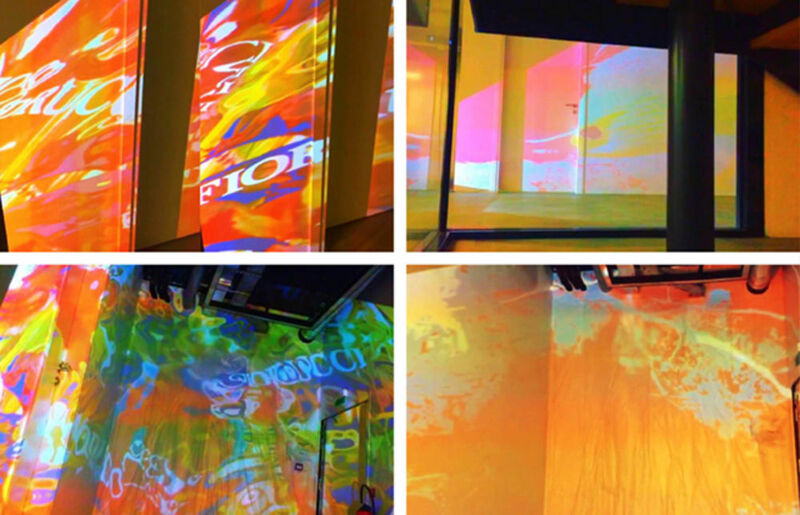 What role does experimentation play within your work? I think experimentation is a bit of a misplaced word within creative. Every project needs the exploration required to push the creative and you should always be adventurous and brave, but it always needs to have an informed understanding of the project and its required outcomes. For me gut instinct plays a big role also. How has collaboration with other artists and designers shaped your own practice? Massively. I wouldn’t be doing what I do today without collaborations. I’ve worked with some crazy talented people recently and they get the best out of me and I’d love to think I get the best out of them. 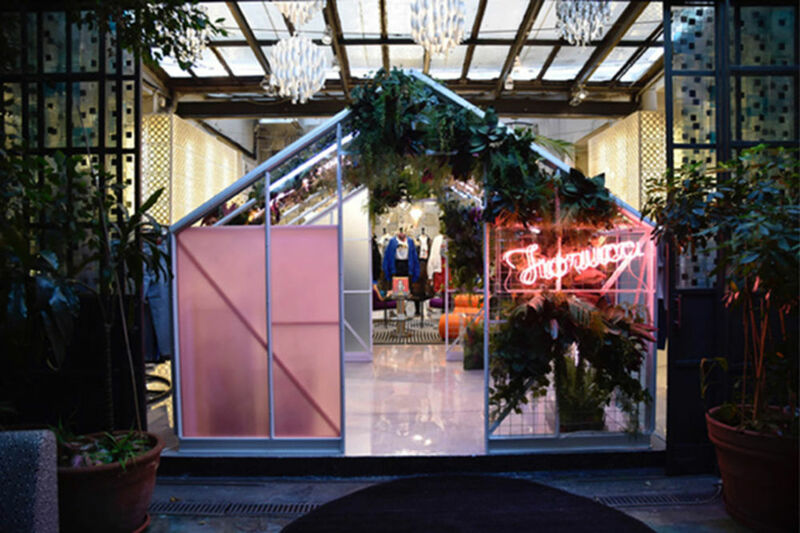 Recently Fiorucci launched a retail pop-up in the 10 Corso Como, Milan. 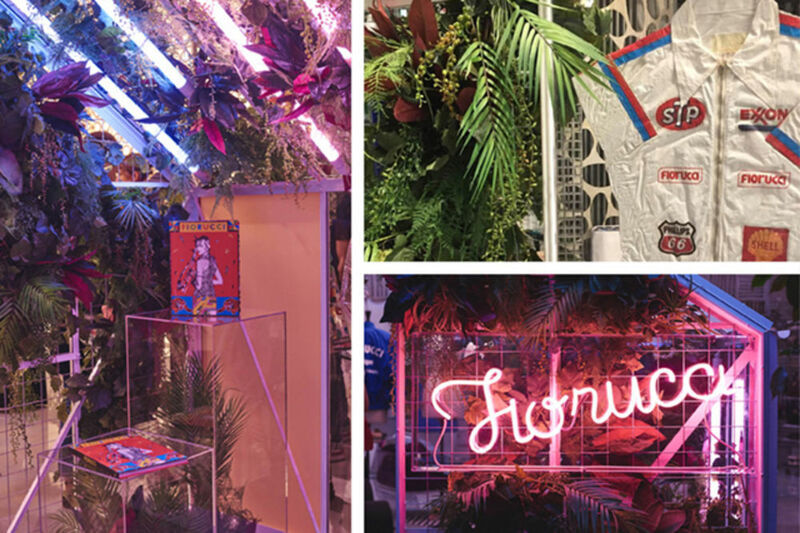 We celebrated the transition of outside greenery to the beautiful store inside with a bespoke greenhouse installation — abundant in foliage, plenty of coloured acrylic panels and of course Fiorucci neons; we also displayed archive Fiorucci pieces. For this project I worked with Charlie Noon (creative at Fiorucci) and Joe Venning (art fabricator) to conceptually develop, meticulously plan and also build onsite. This was one of three overnight installs we did across Europe in a week. 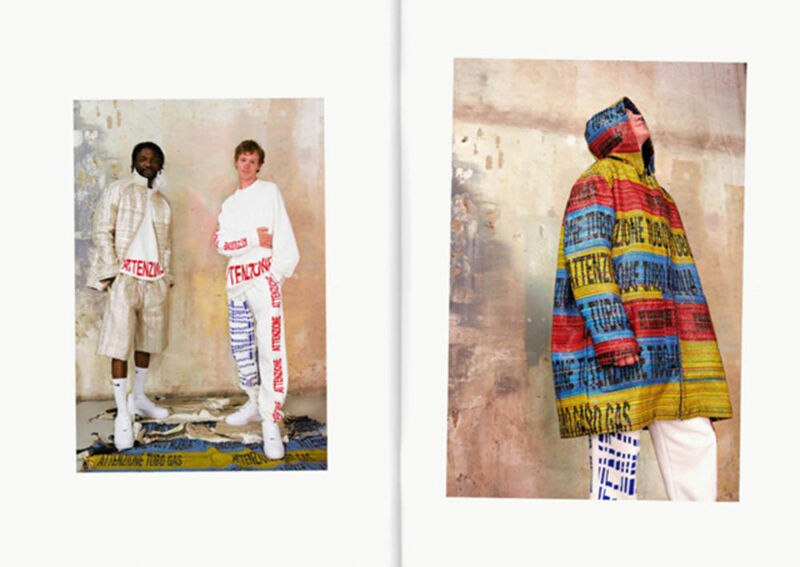 Before taking the role at Fiorucci I ran my own studio practice for just over a year, and during that time I had the pleasure of creating a Norfolk beer brand with Arthur Carey and Alicia Galer, and I also worked closely with Bethany Williams on her SS18 collection which launched at the British Fashion Council’s London Showrooms in Paris. In the past I’ve also regularly collaborated with Craig Oldham on projects such as In Loving Memory of Work. Most notably, for collaboration, is probably the work I produce with one of my closest friends, Jon Bland. He lives in California so we’re constantly balancing the time difference, but it’s sort of like those moments when you wake up in the middle of the night with an idea and you just have to work on it. We do that to each other whatever the time zone. A lot of our projects are self-directed, but ultimately it’s leading to some pretty exciting opportunities. I guess I just answered this with the collaboration question, but it’s a topic I’m super interested in. I’ve interviewed a lot of designers over previous years — and the most interesting portfolios are always those where the person’s interests extend far beyond design and fashion. As well as your solo freelance work, you've spent time at several well-respected design studios. What are the most important things you've learned during your time on those teams? Be honest and be yourself. If you are being yourself, you’re happy. And if you are yourself, you are producing a little bit of you in your creative. If you’re not being yourself or not being honest it’s not sustainable. We’ve got an outerwear capsule collection launching soon, and we’re shooting a holiday campaign all this week with a really amazing team, which will launch shortly after. 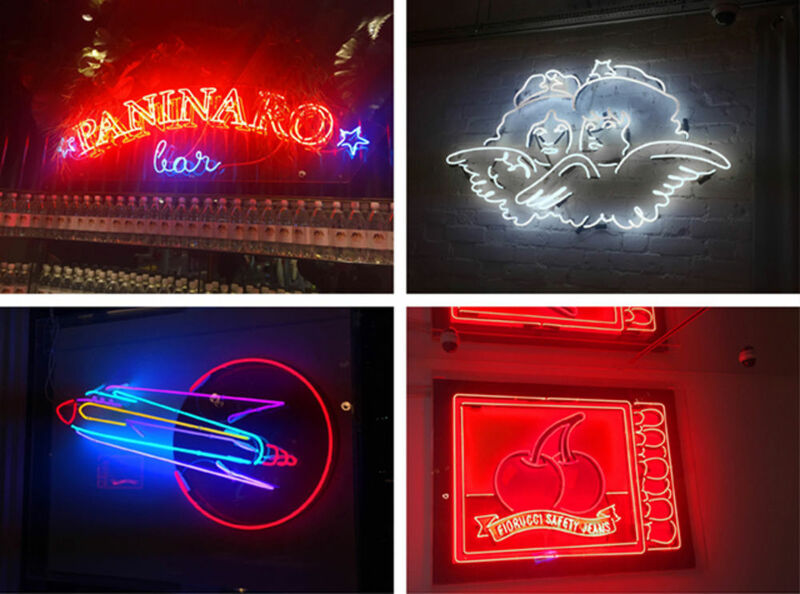 There are so many exciting Fiorucci projects in the near future — I just can’t talk about them yet. Other than that, I probably need a little break soon. I work crazy hours. I never stop. I don’t think I can. Having said that, I’m still fairly young (26) and I’m conscious of not burning out. So I should probably make some time to rest — it’s been a while since I’ve breathed in some fresh Norfolk air, drank enough good wine, or sat in front of a Rothko.